Asegúrate de que el dispositivo está conectado a la computadora a través de un cable USB. 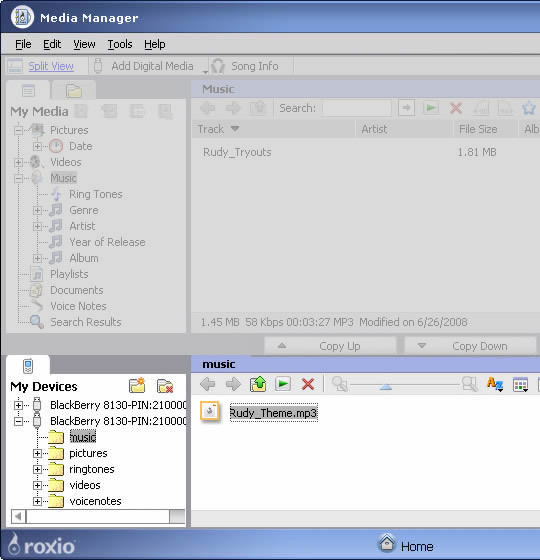 From the desktop, navigate: Start > Programs (All Programs) > BlackBerry > Desktop Manager. If Media Manager is selected, skip to step 5. From the Media Manager section, click Start. 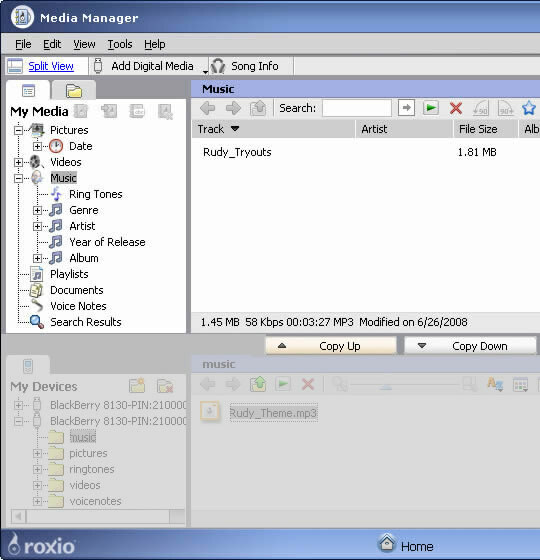 Click Manage Pictures, Manage Music, or Manage Videos. Ensure Split View is enabled. From the keyboard, press the F4 key to enable/disable Split View. 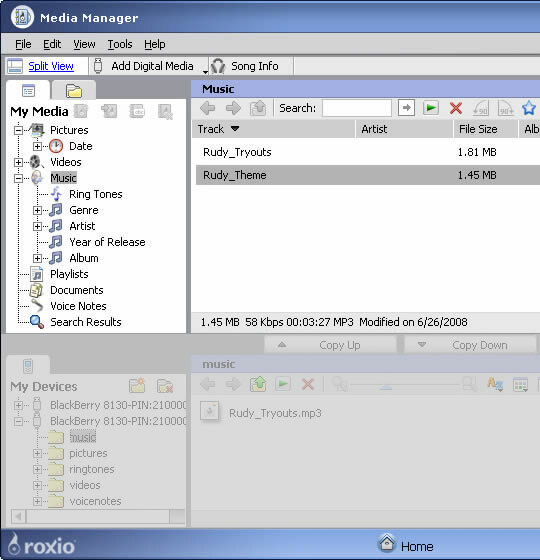 From the My Media section (located in the upper-left), navigate to the desired folder then click the desired file from the adjacent window (located to the right). From the My Devices section (located in the lower-left), navigate to the desired transfer location then click Copy Down. 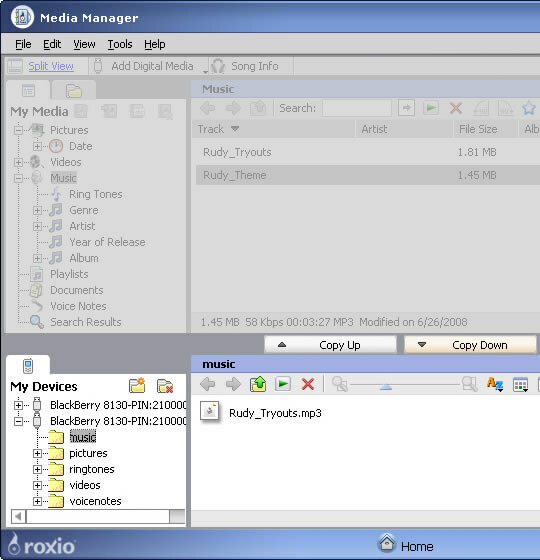 Ensure Convert for Optimal Playback is selected then click OK.
From the My Devices section (located in the lower-left), navigate to the desired folder then click the desired file from the adjacent window (located to the right). From the My Media section (located in the upper-left), navigate to the desired transfer location then click Copy Up.